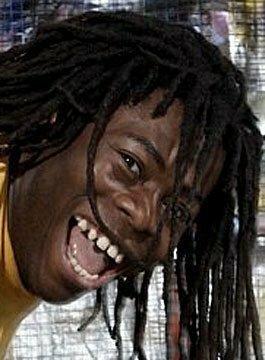 Having survived polio as a youngster, Ade Adepitan MBE has gone on to compete as a wheelchair basketball player on an international level and has a wealth of TV presenting experience. Ade has represented Great Britain at the Olympics in Athens 2004, Sydney 2000 and competed in The European and World Championships. He was an Ambassador for London’s 2012 Olympic Bid, featuring in their high profile poster campaign and was an integral part of the delegation that went to Singapore to present to the Olympic committee to help bring the games to London. In 2006, Ade was given an honorary Doctorate by Loughborough University and had the honour of being awarded an MBE for his contribution to disabled sport in the Queen’s 2005 Birthday Honours. An instantly recognisable face, Ade appeared in the high profile idents for BBC1 and presented BBC’s daily X-Change programme for five years. In 2006 he has his first principle acting role for BBC1’s popular kids’ drama, Desperados. He has also appeared in Brit feature film Freight, ITV1’s Hardware and BBC1’s Casualty. Ade has presented a number of high profile public speeches including the launch of the 2012 Olympic bid at the Royal Opera House alongside Tony Blair. He works extensively in the UK giving motivational speeches to schools, charities and businesses including The Royal Mail, BUPA, NSPCC, Lloyds TSB and BT.